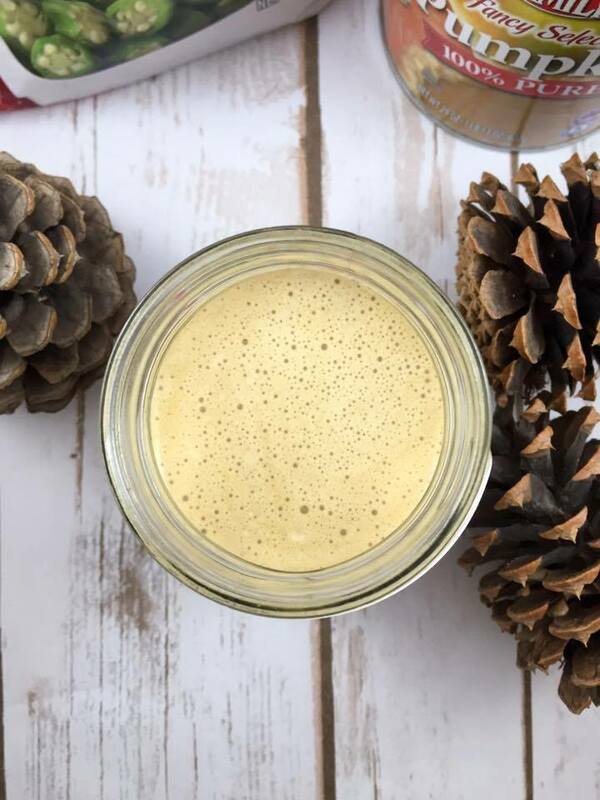 A refreshing smoothie with pumpkin, coffee, and a secret (health boosting) ingredient! I have been trying to boost my weight loss by following a couple of tips, one of which is eating more okra! One of the easiest (fastest) ways to get okra in my diet is by using it in smoothies and milkshakes. 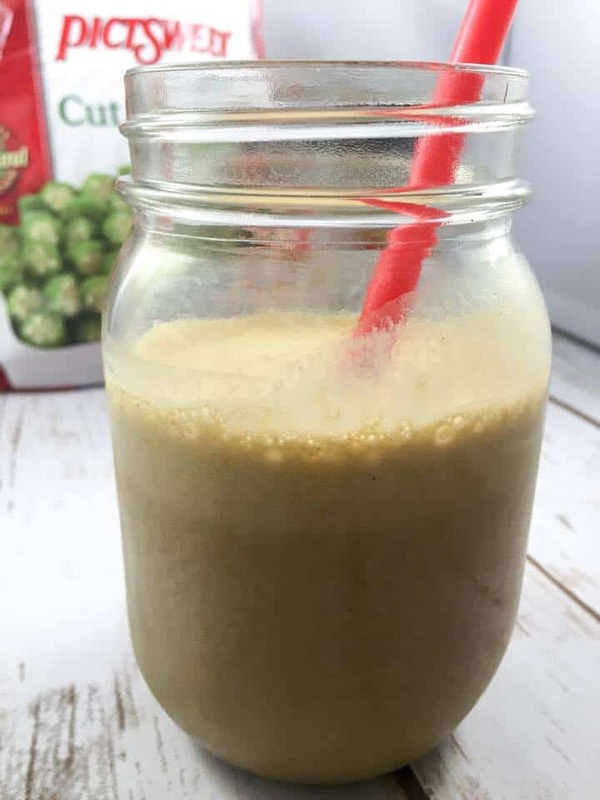 And since it is the season of all things pumpkin, I figured I couldn’t go wrong by creating a super-food pumpkin smoothie! And why not add coffee to it for extra flavor? You can never go wrong by adding coffee! You don’t believe my claims that okra is a super-food? Well, let me list a few of its benefits for you! It is low in calories and rich in fiber. It can act as a natural laxative (all that “slime” is good for your intestines). Okra has been linked to preventing coughs and colds (due to its high Vitamin C content). If you would like to find out more about okra and it’s health-boosting properties, check out this article. As a Trim Healthy Mama, I am coming to appreciate the amazing weight-loss benefits of okra more and more. I have seen many testimonials on the THM Facebook Page of ladies adding okra to their diet and breaking a weight-loss stall. Now, is okra a miracle cure-all? No, but as part of a healthy diet, it can add a lot to your health! This recipe is the perfect way to try it out! 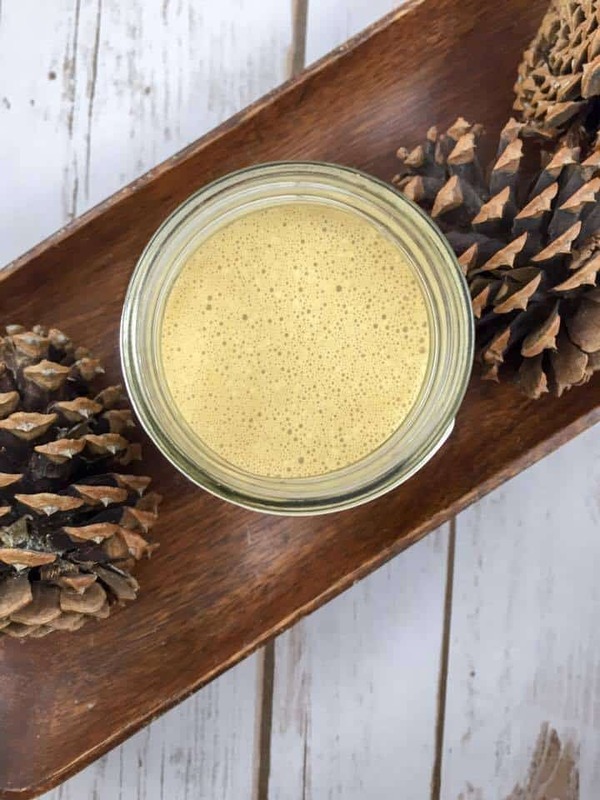 If pumpkin is not your thing, be sure to check out my Secret Ingredient Chocolate Peanut Butter Milkshake! (what I use), add okra, almond milk and coffee. Blend until the okra is completely pureed. I can already hear the question – can you taste the okra? Well, I will not lie to you – there is a certain hint of “earthiness,” but in my opinion it harmonizes quite well with the pumpkin spice flavors, and it is not overpowering in the least. You can certainly omit the okra entirely if you aren’t feeling brave, or you can adjust the flavors to customize it to your tastes. I have a question… I always see smoothies with whey protein. Did you omit to keep it an FP? What would it be if you add the Protein Powder? It would still be FP with the whey protein. I often add collagen to my smoothies and drinks for extra protein! I love hiding vegetables in my smoothies, though normally it ends up being good old spinach. Okra sounds like one to try! I love okra, not as much as you THMs, but I do love it in soups and as a side. I have brownies and cakes from beans, why not smoothies from okra? Thanks for the recipe. It looks delicious. I’m pinning that beautiful pin! Wow I could never have guessed that secret ingredient! I never knew how good okra was for you! I’ll be trying this new recipe soon! How clever! I never would have tried okra in a smoothie! Great idea! Can you taste the coffee or is it just a flavor enhancer? I love coffee, but I despise cold coffee drinks. You can taste the coffee. You could always omit the coffee, but it helps to mask the okra. Great combo for the fall! I had to click to see the secret ingredient! I was thinking silken tofu or something. Didn’t think it would be Okra. I love your creative recipes!